Random Media has acquired all domestic rights to Harley Di Nardo's DEAD ENVY, a thriller following an aging rocker who finds himself in over his head when he thinks he meets the perfect protege. 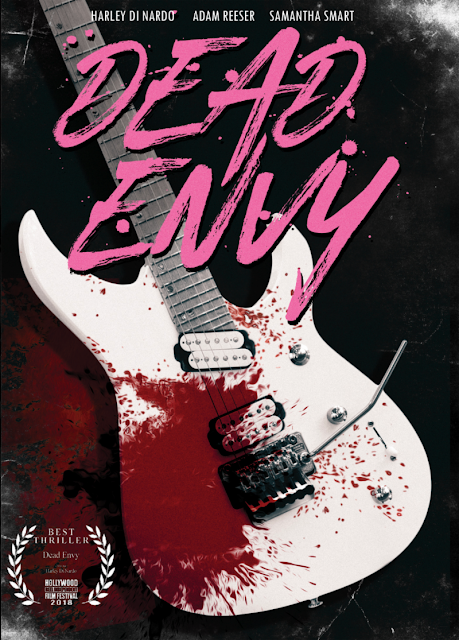 The feature length debut of writer-director Di Nardo and co-writer Stacy Hullah, DEAD ENVY had its world premiere at the Hollywood Reel Independent Film Festival, where the filmmakers took home the prize for Best Thriller. Aging Rock artist David Tangier's sense of identity is all but destroyed as he works cutting hair to provide a comfortable life for himself and his wife. His sound and age bind him to the Rock of the 2000's, where his band Katatonic Spin once ruled the scene. David cannot tolerate that his entire existence has fallen prey to the persona of "the has been." By taking one last long shot at maintaining his integrity, David sets out to organize the follow-up album that he never had the chance to make. When Javy Bates, a mysterious young musical talent shows up for a job at David's salon, this Rocker thinks he has found a solution to his alienation. Initially guarded, Javy soon opens up... as he has an agenda of his own. Random Media plans a limited release in select markets this fall, followed by a VOD release.